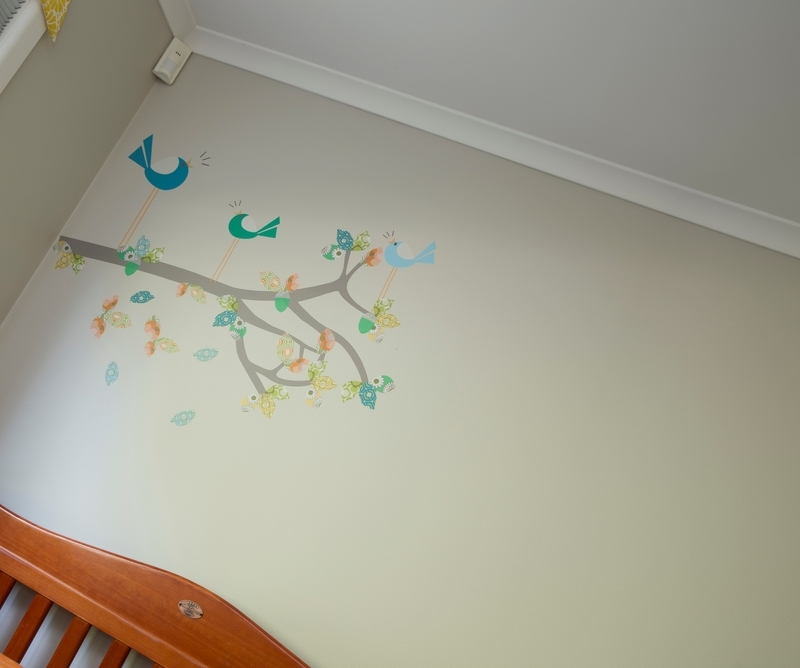 With a baby on the way, the client wanted to transform the ‘spare room’ into a beautiful space for the new arrival. 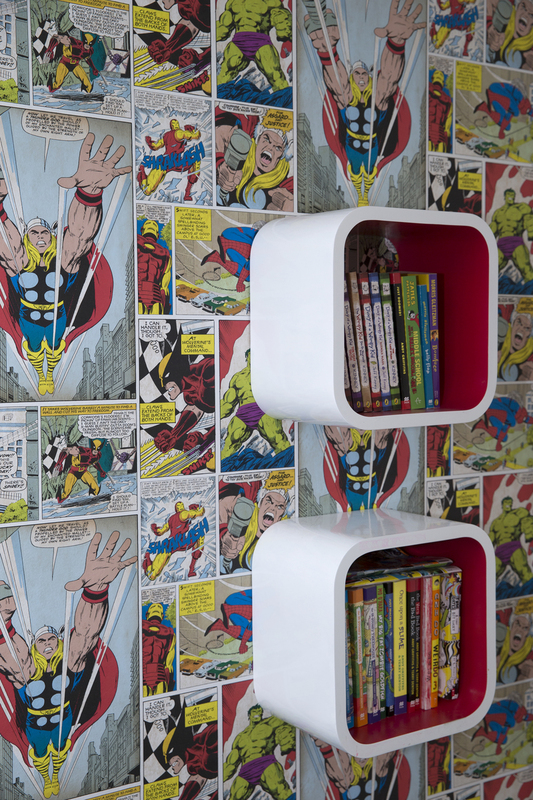 Gender neutral colours were requested that would also work with the wood furniture. 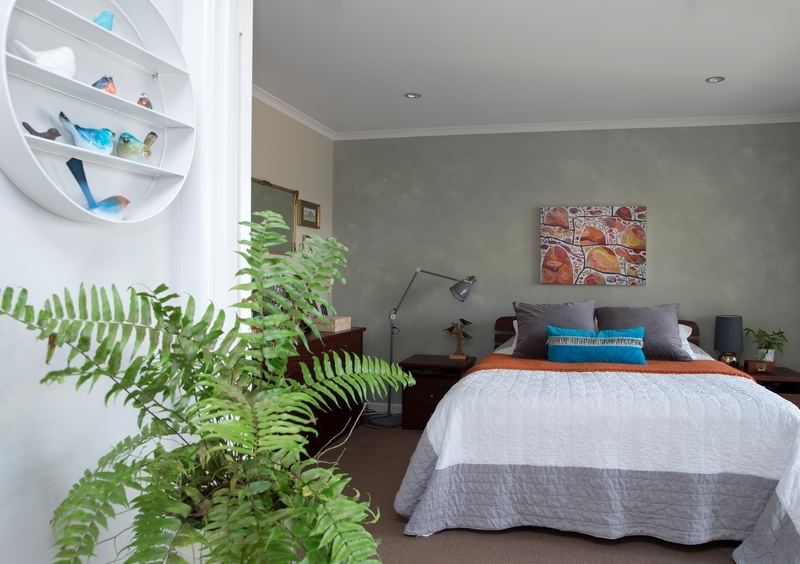 Low VOC materials were used (paints with reduced chemicals) to cater for the sensitive new tenant. Decals were added to provide a personal touch. 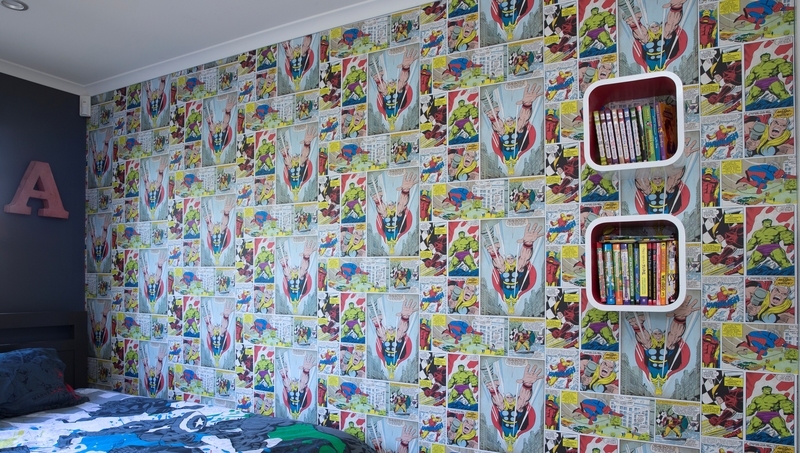 Big brother was promised an updated look, and the inclusion of a bold feature wall using Marvel comics wallpaper did the trick. The remaining walls and ceiling were freshened up with Dulux Hog Bristle and the crisp white of the window and door frame in Dulux Antique White USA contrasted beautifully. The new room received a big ‘thumbs up’! 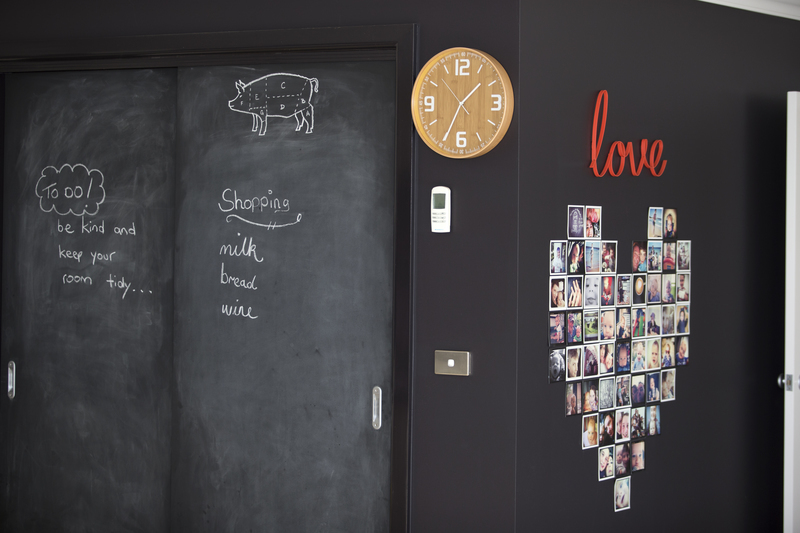 The client wanted to make use of Dulux Design ChalkboardTM in the kitchen. 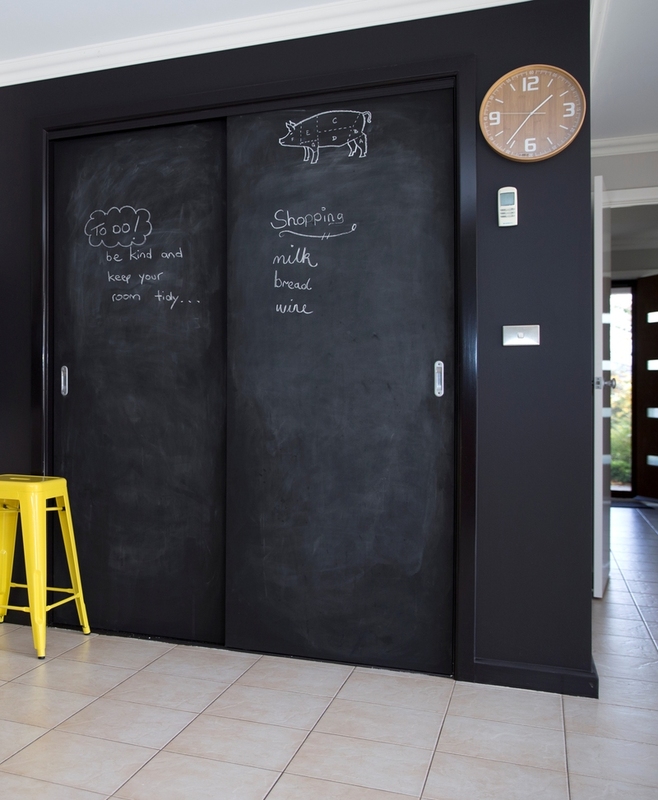 The sliding doors to the pantry provided the perfect surface for shopping lists and a play space for the kids. 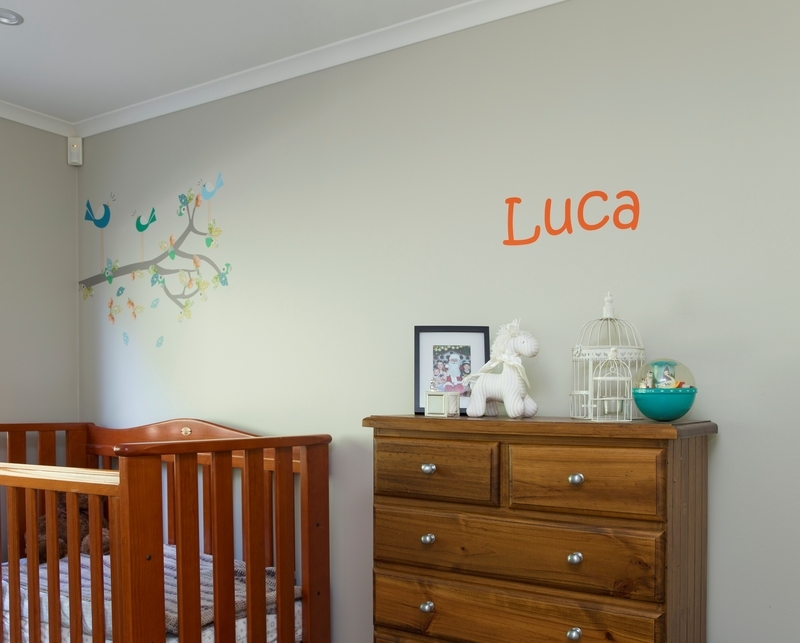 The chalk removes easily with a damp cloth and provides a practical space for all sorts of household information. 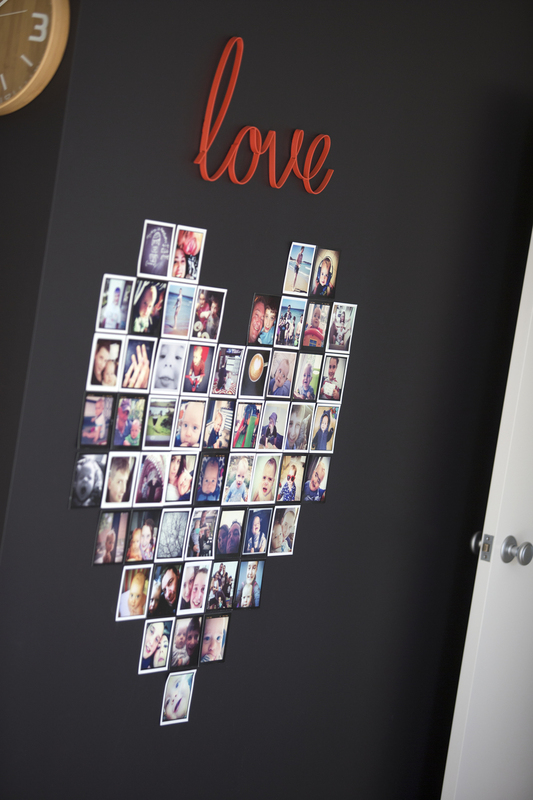 The adjacent walls were painted in a complimentary black, Dulux Klavier, providing the perfect feature in the large living space that the family refers to as the ‘love wall’. 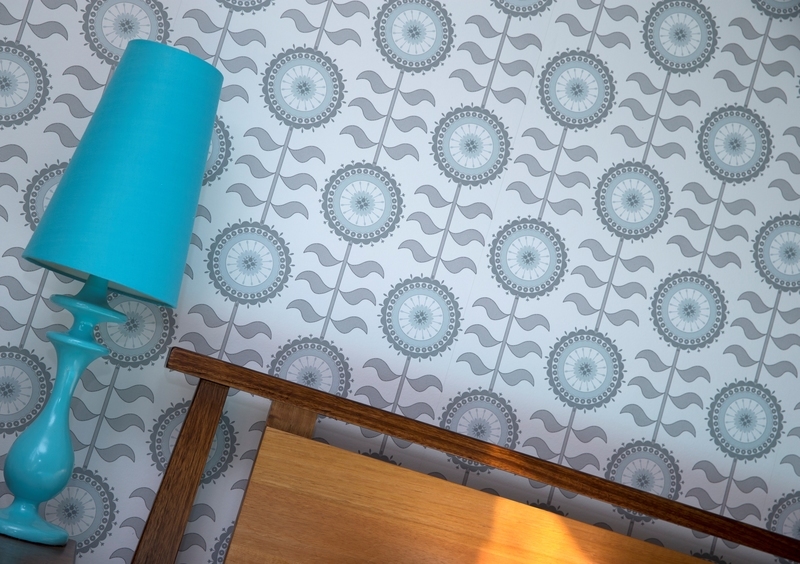 With wallpaper making a comeback in the last few years, the clients chose two spaces in their home for the addition of some new texture and pattern. 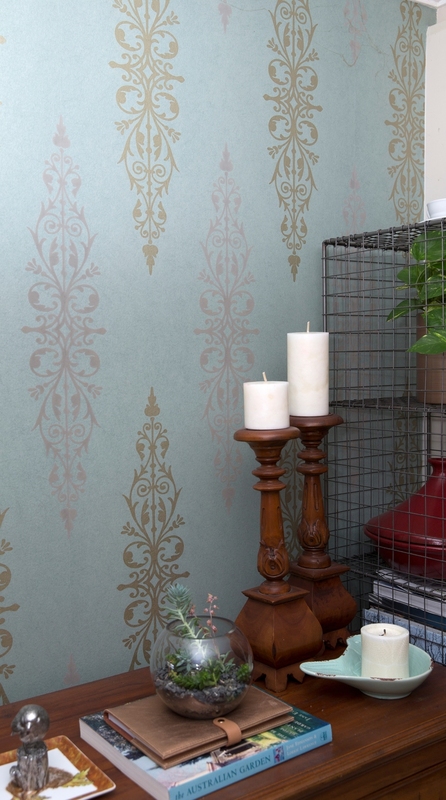 The first was a flocked design that picked up the golden accents in the curtains and furnishings. 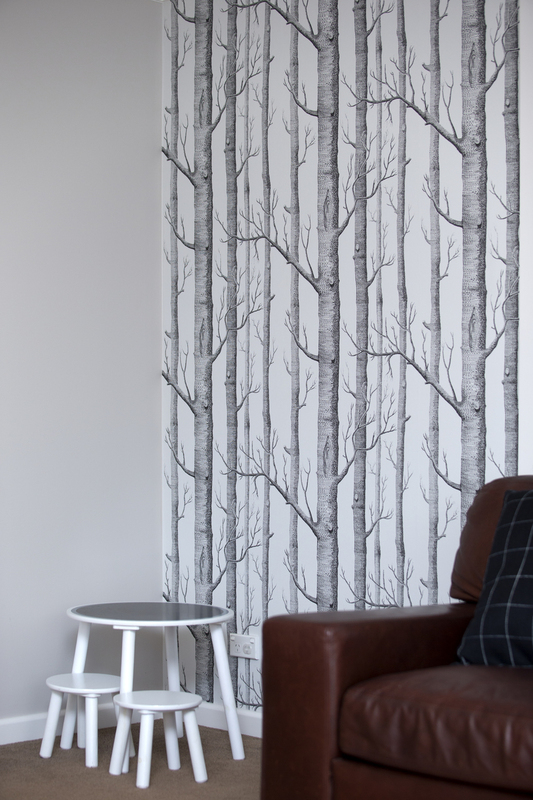 The second was the popular Cole and Sons ‘Woods’ featured on the television show ‘The Block’. 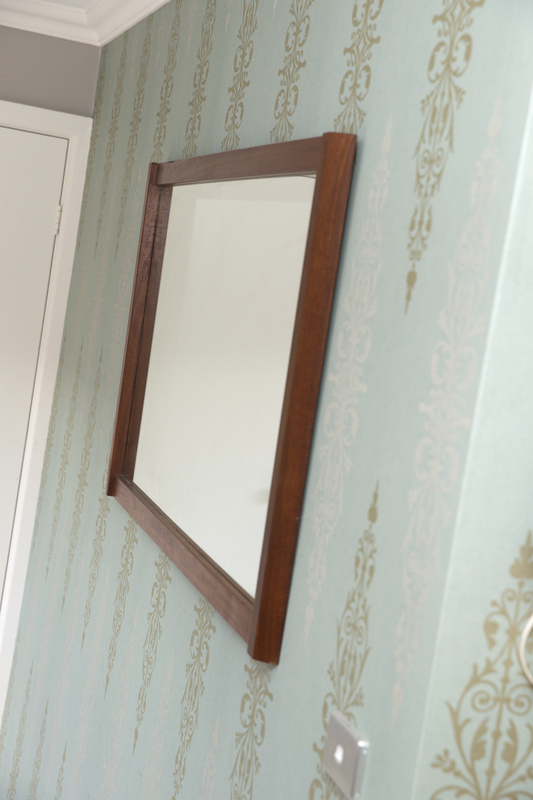 The adjacent walls in both rooms were painted in Dulux Limed White, with Antique White USA (gloss) on window and door frames. 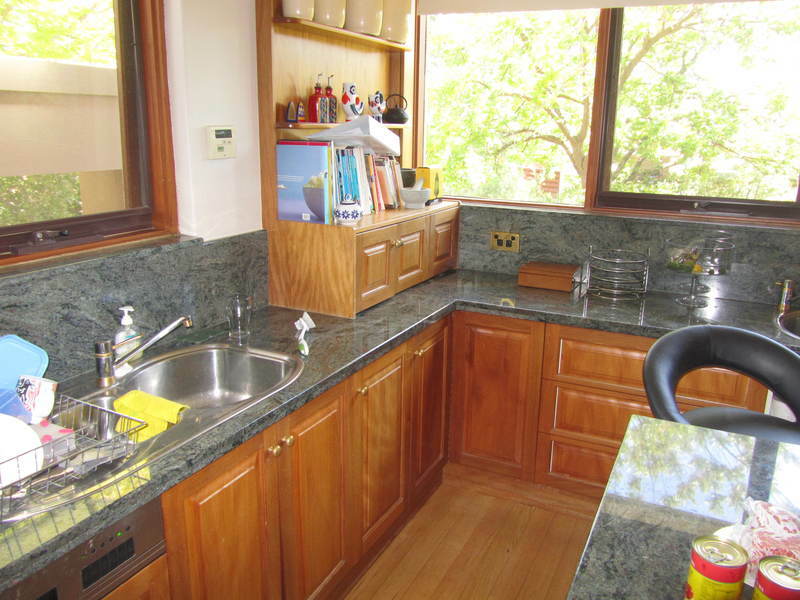 With Ella starting high school, mum and dad wanted to provide her with a calm place to study and rest. Layla Faye ‘Tall Flower Grey’ supplied by Natty & Polly (www.nattyandpolly.com.au) was chosen. Adjacent walls and woodwork were re-painted to freshen up the space. 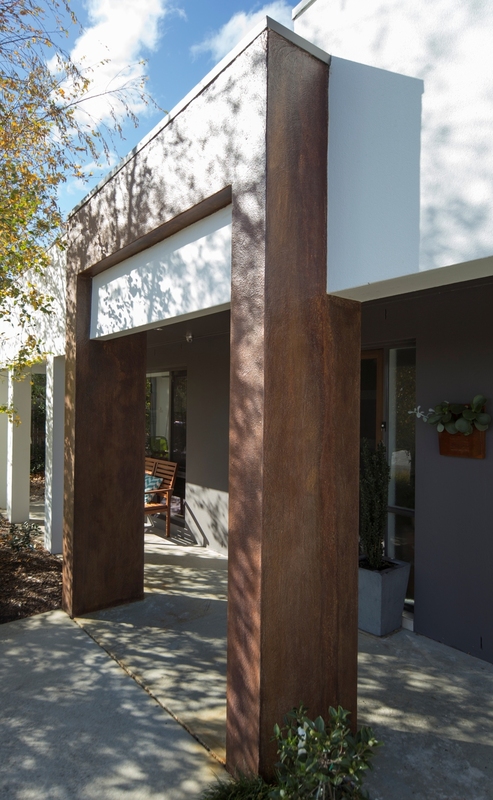 The client wanted something different as a feature to the front of their modern home. Following a complete external repaint by Fusion Painting, the front beams were rendered by Fusion using Dulux Acratex Elastomeric and then the Dulux Design RustTM applied. The activation process can take a couple of weeks for the beautiful rust colours to reveal themselves (this occurs through an oxidation process between the iron-rich paint and a rust solution). A sealer was then added to protect the final finish. The effect is so convincing that passers-by swear that new iron beams have been added to the property! For a fraction of the cost, the client is very happy with the end result. Murobond – for a touch of something different. 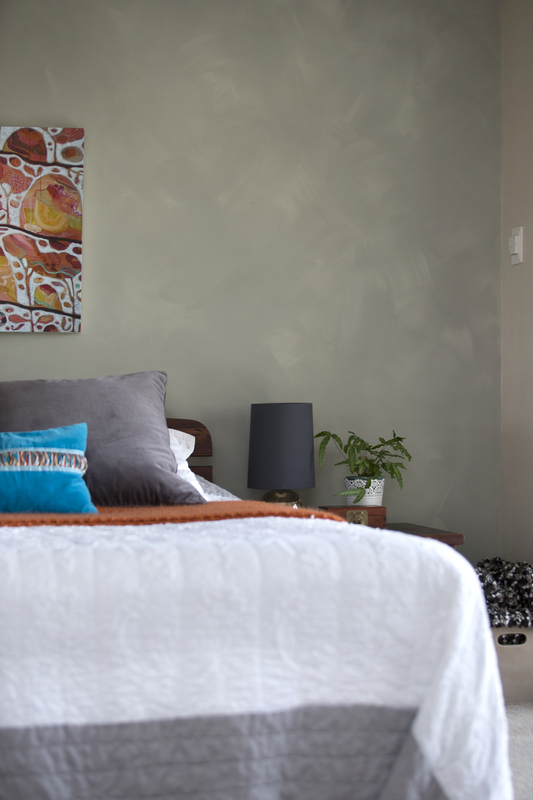 The clients wanted something different in their main bedroom – an effect that was a bit industrial, yet with some softness. We settled on Murobond Pimento Limewash in Tumbleweed, which worked beautifully with the solid wood furniture, artwork and grey fittings. 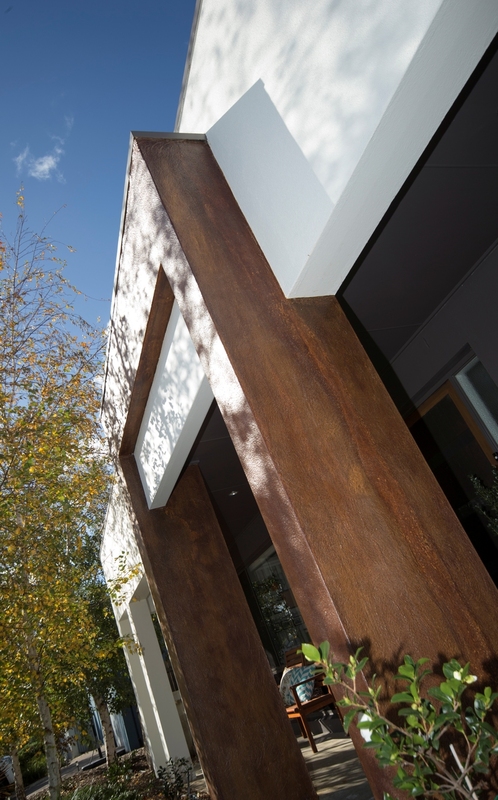 The skill of Fusion’s tradesmen was revealed in the beautiful application of the limewash, resulting in a modern and gorgeous finish. 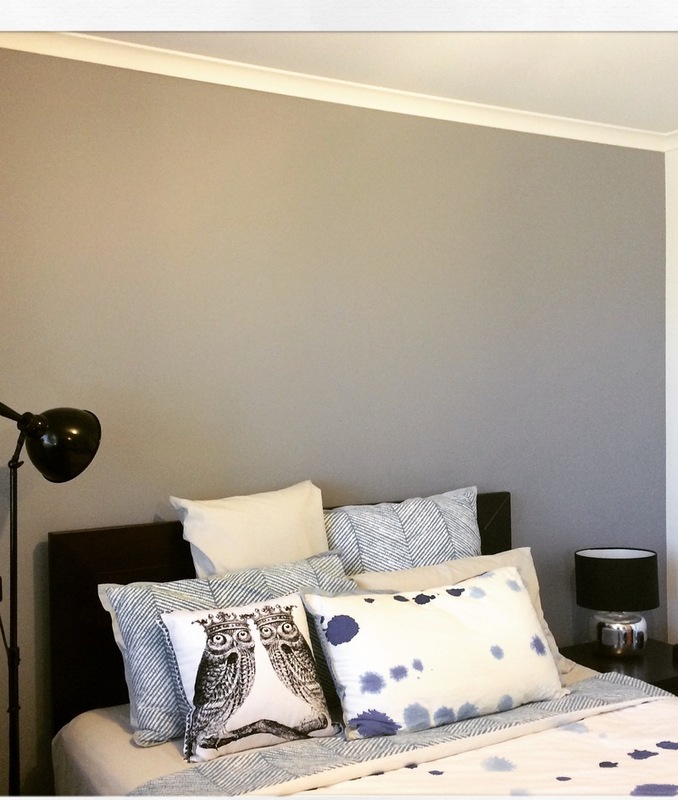 The client wanted a simple yet stunning feature in her main room that would stand the test of time and accommodate a change in colour of the bedroom upholstery. 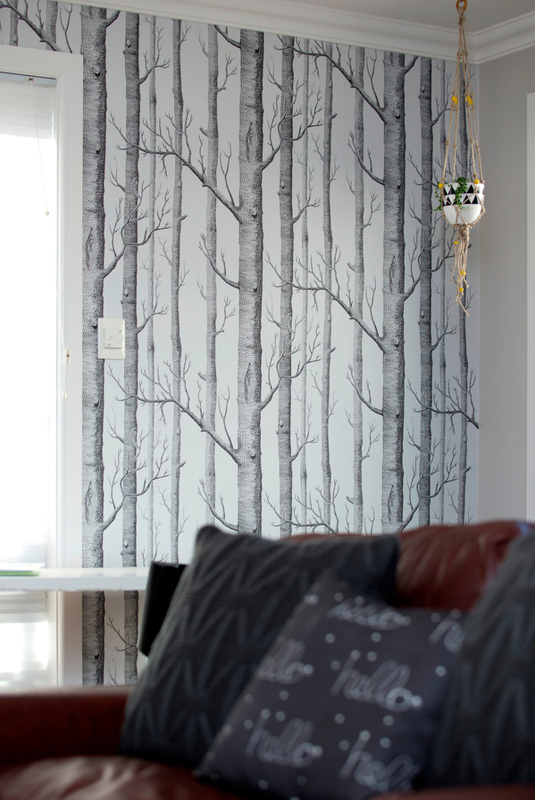 Murobond Dust was chosen as the main feature wall. The adjacent walls, woodwork and ceiling were repainted in a crisp white. 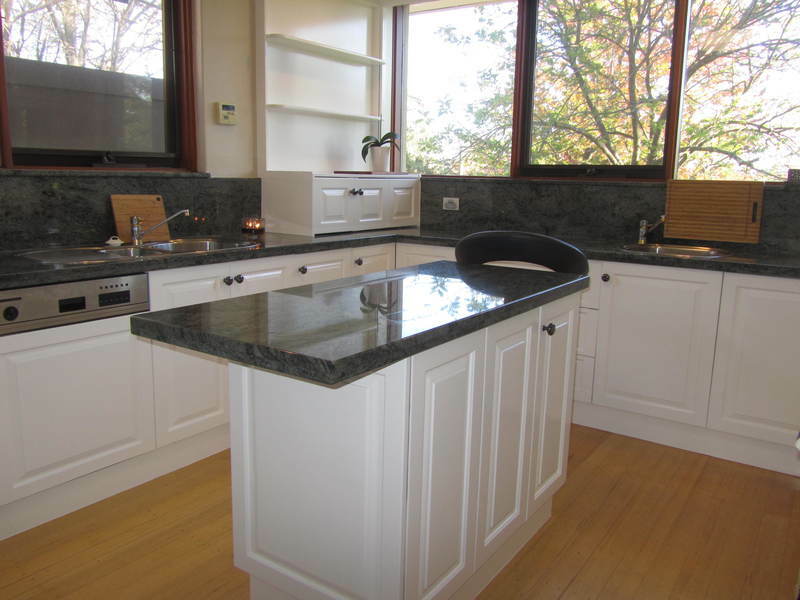 The clients felt that their kitchen was structurally sound, yet outdated. They chose to update the colour scheme rather than take the more expensive option of a total renovation. We used our Festool dustless sanding equipment for two purposes. First, it extracted the dust during the sanding process. Second, it provides an exceptional surface on which to apply the finishing coats. We then used our high pressure, low volume spray equipment to apply Dulux Duraflex to the cabinetry.